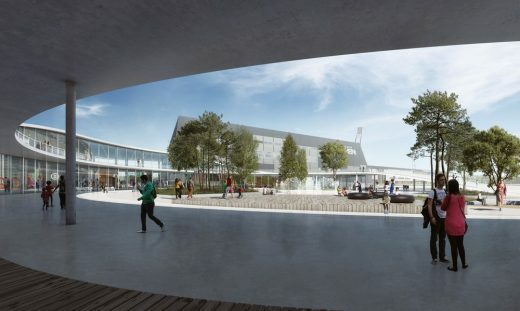 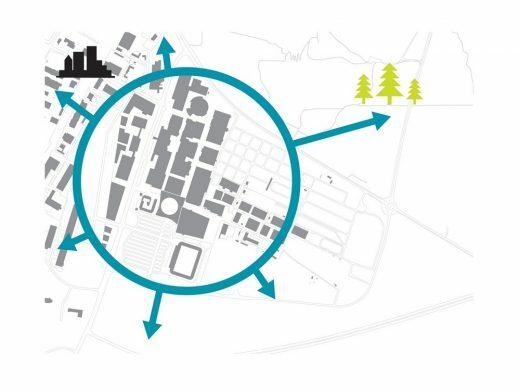 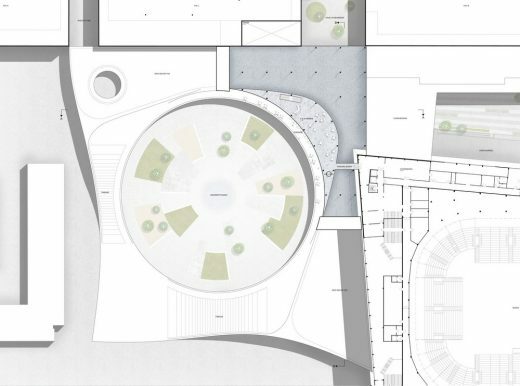 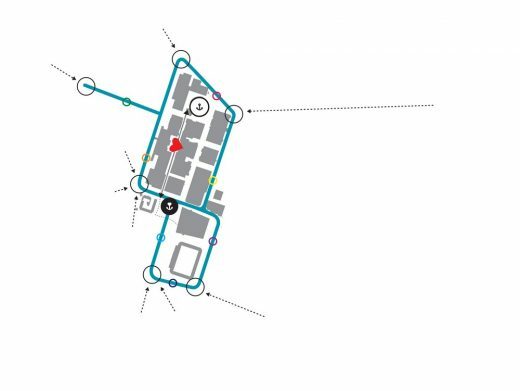 The project aims to intersect two loops of circulation at the point of the new entrance to the building, the connecting routes are enriched by the presence of usable art (both permanent and temporal exhibitions) and plants (trees, green walls). 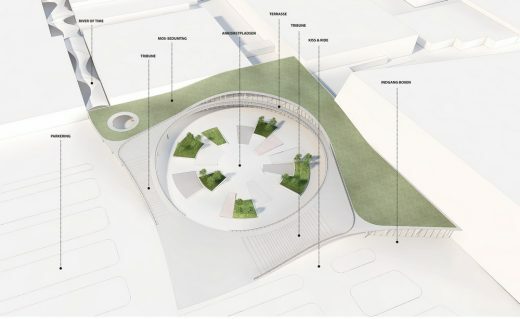 The roof spreads over a circular space creating a unique event area, enhanced by versatile sloping ramps that are the perfect scenery for an outdoor concert but also provide protection from unpleasant weather conditions. 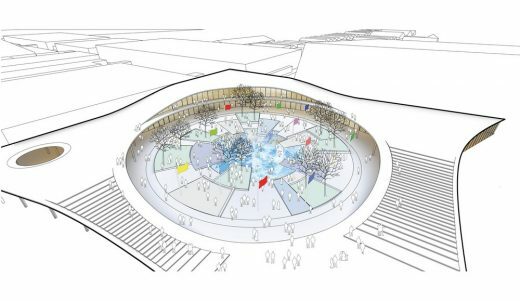 Landscape design of the central square prepares it for many purposes such as exposing a small glimpse of the main exhibition, the potential for an iceskating ring or simply a resting place for numerous visitors. 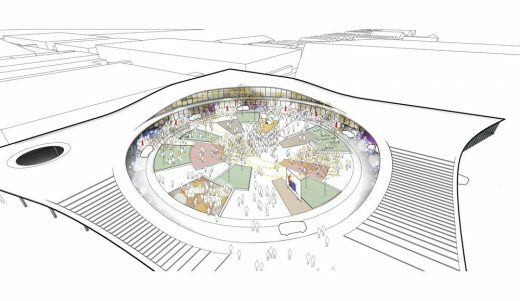 The building itself is an open space volume with varying roof height, to alleviate all public flow issues. 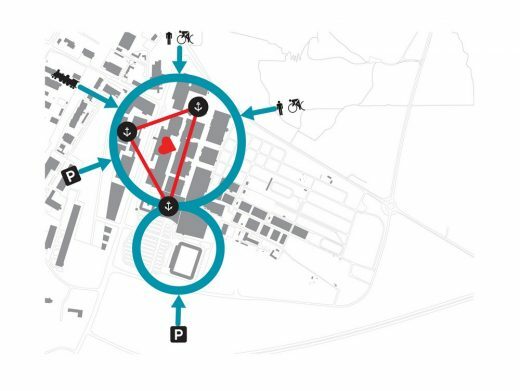 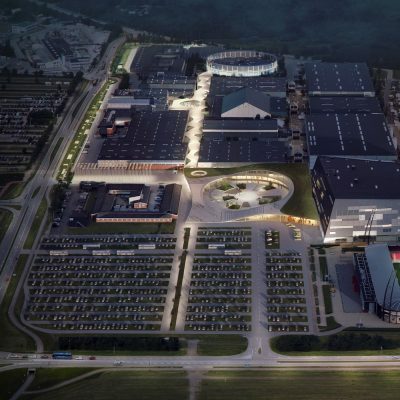 The centrally placed entrance with security zone that welcomes guests and directs them accordingly to their desired destination; perhaps for instance to a concert in the multipurpose hall or a car exhibition in the main part of the complex. 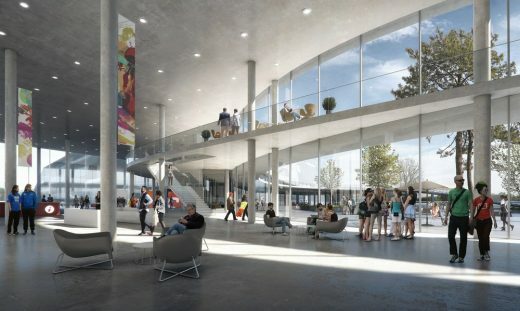 The ground floor provides visitors with a leisure zone, waiting area, ticket office and toilets, while on the first floor, overlooking both the main room and the event square area, there is a restaurant that is also accessible from the outside ramps. 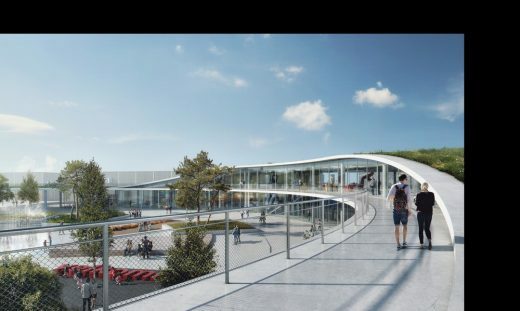 The last part of the project is a promenade spreading between the designed building and the future Museum of Time located on the northern side of MCH. 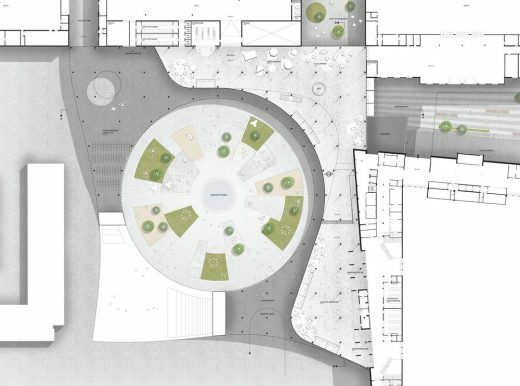 This public space called the River of Time is the main axis of the exhibition zone connecting most of the halls. 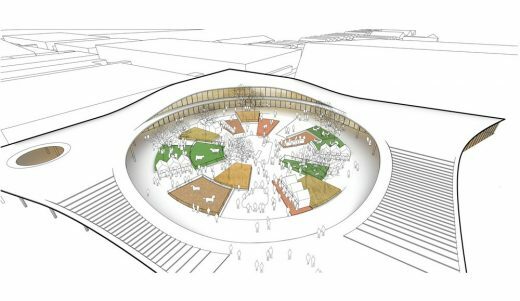 It is a backbone of the whole complex which with its membrane roof and green landscape elements creates a friendly public area where tired guests can purchase a snack, rest for a bit and then continue their visit.